Shir Joy Chorus of Massachusetts is dedicated to learning, sharing and performing Jewish music. Founded in 2011, the chorus is non-auditioned and is open to all people regardless of ethnicity or religious background. 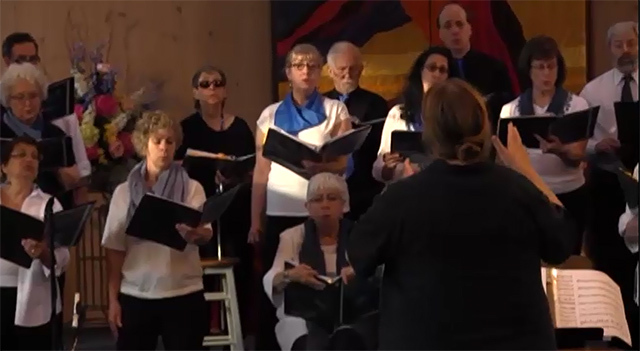 Shir Joy Chorus performs music from the rich and varied Judaic cultures of Israel and the Jewish Diaspora. They are dedicated to raising awareness and appreciation of the breadth and beauty of Jewish culture through performances and related activities. This is the Spring Concert from 7:00 p.m. on Sunday, June 11, 2017 at Congregation B’nai Shalom in Westborough, Massachusetts.